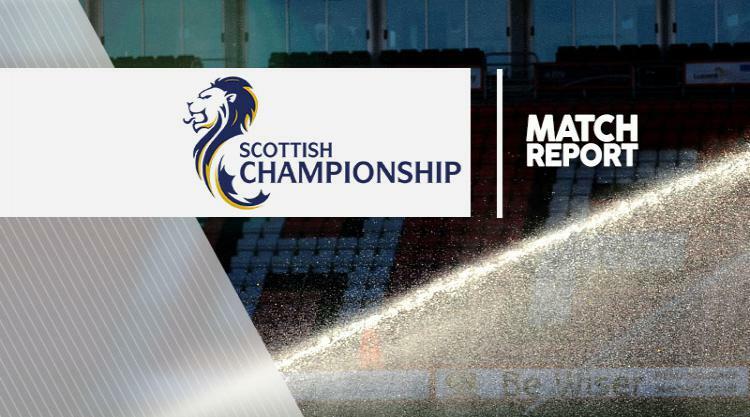 St Mirren slipped six points adrift of safety in the Ladbrokes Championship but John Sutton's late header rescued a 1-1 draw at home to fellow strugglers Ayr, who finished the game with 10 men. The rock-bottom Saints had the first opportunity of a nip-and-tuck opening half when Lawrence Shankland's strike was saved by Ayr goalkeeper Greg Fleming, whose opposite number Scott Gallacher saved well from Nicky Devlin's header. The game exploded into life on the hour, when Shankland fired his penalty wide after Jason Naismith had been fouled in the area by Paul Cairney, who atoned for his error in the 63rd minute by opening the scoring after being put through by Jamie Adams. Ayr's hopes of hanging on for the win were dealt a blow in the 77th minute when Jamie Adams was given his marching orders for a rash challenge on Kyle McAllister. And Sutton's header from David Clarkson's ball into the box pegged back the visitors, who slip to second bottom in the standings following Dumbarton's win over Falkirk.